Oil on canvas, 45.75" x 35.5." 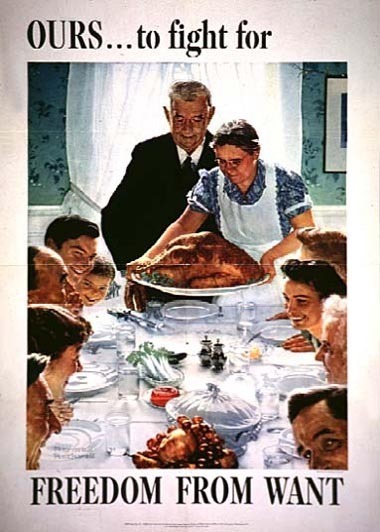 Later on, 20th century artists used food not simply as a subject, but as a form of cultural commentary. 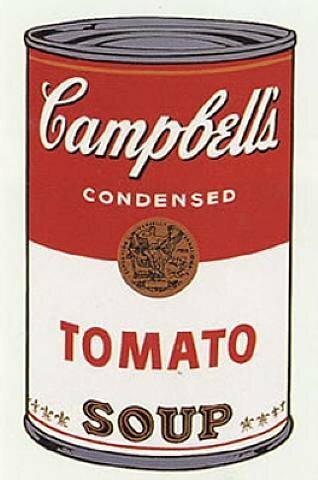 Artists like Norman Rockwell in Freedom from Want [fig.1.3] and Andy Warhol in Campbell’s Soup Cans [fig.1.4], would explore the world of food consumption and culture. Synthetic polymer paint on canvas, 20" x 16"
← Food & Art: "A Gastronomic Assault"